A few days ago I saw a photo of Pixie Lott at London Fashion Week and her makeup looked gorgeous. 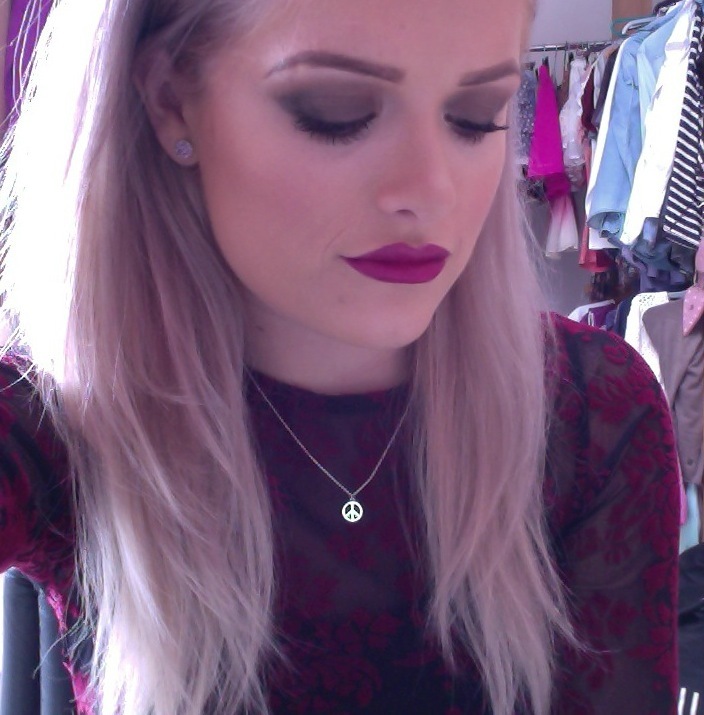 I found her makeup artist on Instagram & she had written that she used ‘Rebel’ lipstick & ‘Currant’ liner by MAC. With that in mind I purchased both of those products and this morning I tried to recreate the look myself. I must say it looks better in real life than in my ‘photo booth’ selfie.